Speed is one factor to make your website successful. The users will leave immediately if your site takes time to load. According to the quora thread, only 1o seconds is the limit to keep the users attention focused on the dialogue. This means that if you have a website that takes forever to load your readers will leave no matter what’s inside your article. Users will not care whether your article is important unless he/she your loyal subscriber. Also search engine will give you a plus when your website is well optimized. One cause of sluggish website is the attachment of so many images. Images are good for webpages if it is optimized. In this article I will show you some methods that you can use to optimize the image in your webpage. Optimizing the image before you upload to your server will save you time and resources. 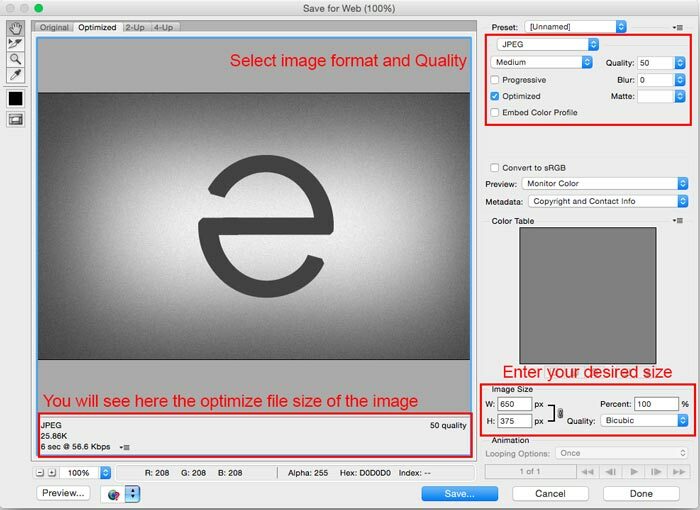 Using Photoshop, you can easily optimize the image by saving the image for webpage. This feature will give you the option what quality of image you want to save, good quality equals to large file size and low quality will give you small file size. Setting the image quality from 60 to 70 percent will reduce the size up to 50 percent. Select which quality best for your webpage before saving the image. You can also resize the image if it’s too big for your page, simply by setting the width and locking the height proportion to prevent the image from distorting. 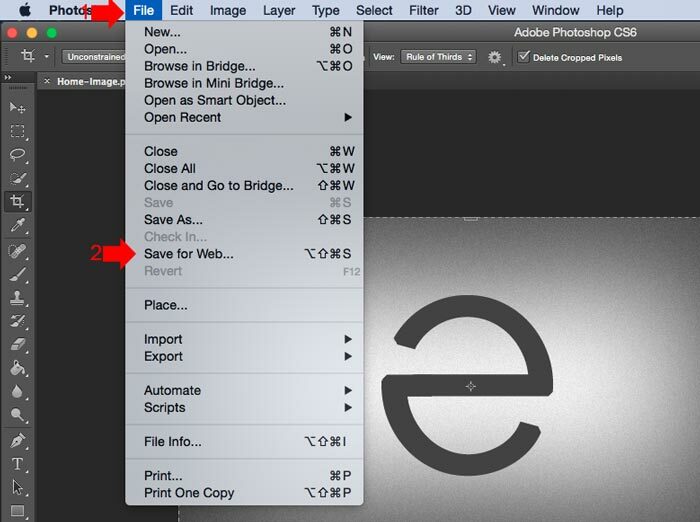 To do this, when saving the image in Photoshop follow these steps. Go to to File menu and select “Save for Web” in the drop-down. On the Save for web pop up window, Select the image format, quality and the size to optimize before saving. If you’re satisfied with the size and quality hit save. If your website uses WordPress platform, there are some useful image optimizing plugins that you can easily install to help you optimize the image that are already uploaded on your server. I will share with you one plugin that I use to optimize the image in my website. WP Smush – WP Smush is a free WordPress plugin created by WPMU DEV, this plugin strips hidden, bulky information from your images, reducing the file size without losing quality. All you have to do is install the plugin, and after installing, in your WP dashboard, go to Media > WP Smush then click the “Bulk Smush Now”. This will optimize the image that already in your server by 100 images, make sure to click again the “Bulk Smush Now” button after 100 images are optimized and continue until all the image are processed. Ticking the “Auto-smush image on upload” check box will automatically optimize the image everytime you upload to the server. Now that you know already how to optimize the image in your page, you can check also my previous article how to make your WordPress website load faster. Using NSO helpline website, you can now get authenticated NSO Certificate Online, these include Birth, Marriage, Death certificate or CENOMAR and let them delivered to your doorstep for free.